For all of your collection development and maintenance, general reference and readers’ advisory needs, Core Collections (formerly H.W. Wilson's Standard Catalogs) are reliable guides to help librarians build and maintain well-rounded collections of the most highly recommended reference, non-fiction, and fiction books. Learn more about Core Collections. The use of Dewey and Sears headings makes this an easily navigable resource. [...] It continues to be an essential resource for collection management in high school and public libraries. Librarians will want to consider the database for access to greater numbers of titles and resources. Essential. In addition to recommendations for young adult readers, the Senior High Core Collection database includes listings of review sources and other aids for librarians and school media specialists. Entries provide complete bibliographic data, price, subject headings, a descriptive annotation, evaluative quotations from a review and full-text reviews when available. 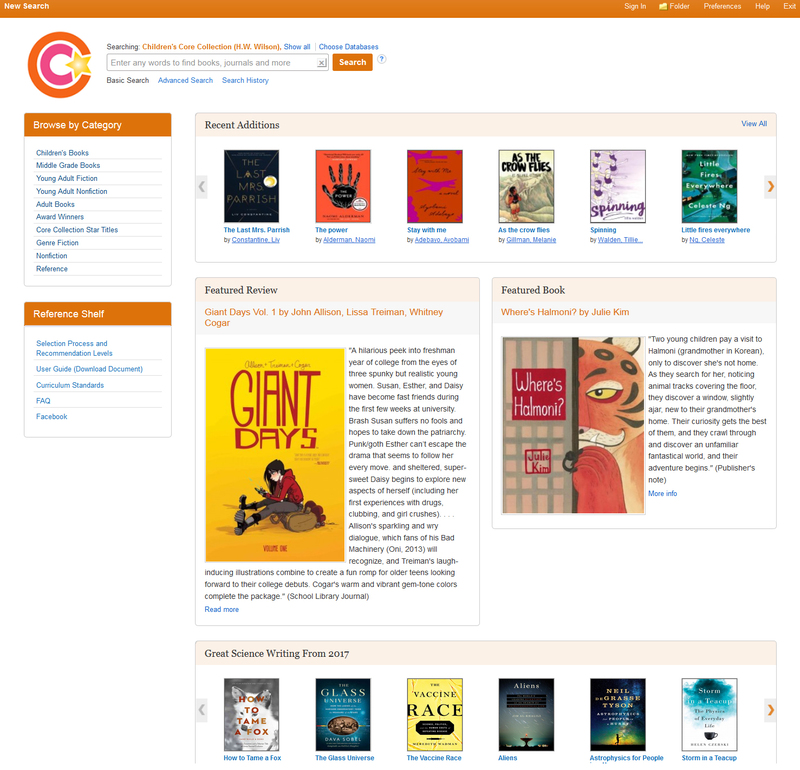 Selected and recommended by specialists in library service to young adults in high schools and public libraries across the United States, the books listed encompass a wide variety of topics for youth, with a special focus on contemporary literature and subjects covered in high school curricula.